1. 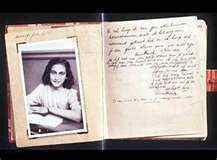 June 8, 2012 marked the 70th anniversary of Anne Franks first entry in her now histoical diary... have you ever read it? 2. If not the whole diary, are you familar with parts of it? 3. This diary is required read in many schools to this day-do you approve? 4. Why- or why not?